Yup, I'm ready for my next K-(J-? )beauty fix. Ever since Memebox started breaking my wallet I've cut down maaajorly on Korean skincare. Then I heard about how affordable 3b Box was and the great value you get for your money. After months and months of being waitlisted, I finally got my first taste last month (it was awesome, but would have been suuuper awesome if it weren't for the rose-scented hand cream). This is my second month with 3b and I'm excited to see what's inside! My hair does feel a bit healthier (i.e. not as brittle) but nothing dramatic. If you have hella damaged hair I'm not sure if this will nurse it all the way back to health. Maybe after a few weeks' time, but definitely not after 1-2 uses. But it does get pretty good reviews so who knows. Holika Holika Good Cera Ultra Toner & Emulsion (sample value: ~$3) - Good news: including both a toner and eumulsion from a brand is very thoughtful. Bad news: make sure consumers can actually get the samples out of the bottles. These are tiny hard plastic vials with an even tinier opening so that when you invert the container nothing comes out unless you bash it on your hand 20 times. Thankfully, you really don't need that much product. The toner is thicker than what you'll find from most US brands - it's more moisturizing and less alcohol-y than their US counterparts (in fact there's no alcohol in here). Both the toner and emulsion contain ceramide and ricola extract to help lock in moisture and all you need is a few dabs to cover your face. 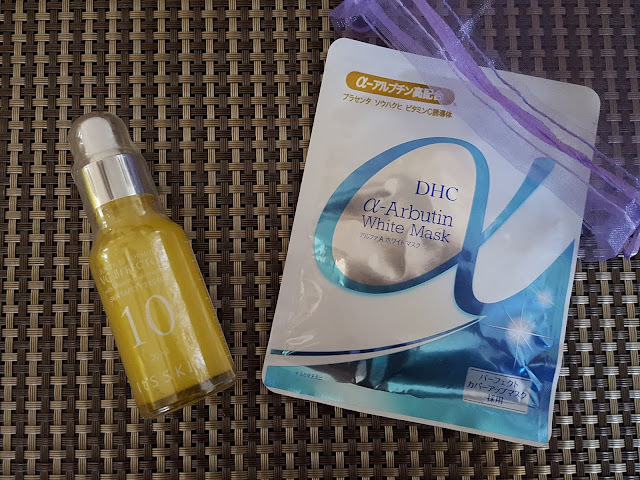 DHC a-Arbutin White Mask (single mask value: $4.50) - DHC is a well-known Japanese skincare brand with a US subsidiary so you know what that means...shipping is cheap! 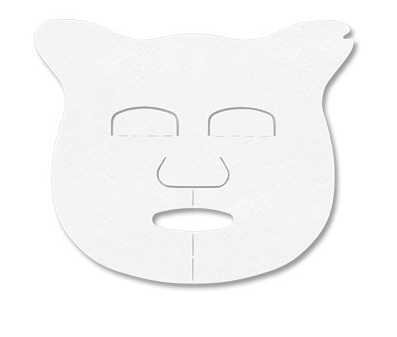 This sheet mask uses a-arbutin, mulberry, peony, and the amino acid serine to fight skin damage and boost collagen production. 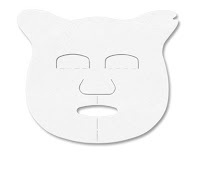 And the cutest part is that this mask is shaped like a piggy! FUN. 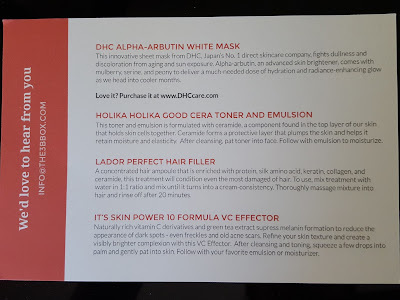 I think this month's 3b box automatically wins my approval simply because they had a fun hair mask and a piggy-shaped facial mask. The only thing I'm kind of bummed about is the Vitamin C Effector and whether it's actually effective. Anybody tried it and has an opinion? If you want to get fun animal-shaped masks and cosmetics, jump on the waitlist as soon as you can because the wait can be pretty long. It took me five months to get off, though I think the wait might be a lot shorter now. I didn't get charged until I got off the waitlist, so you'll have plenty of time to change your mind after signing up. Hahahaha! You are so right about those tiny Holika Holika samples! I do cause myself some pain bashing it against my hand. Someone suggested using a Q-tip to get it all out which is more efficient even if it does waste some product. 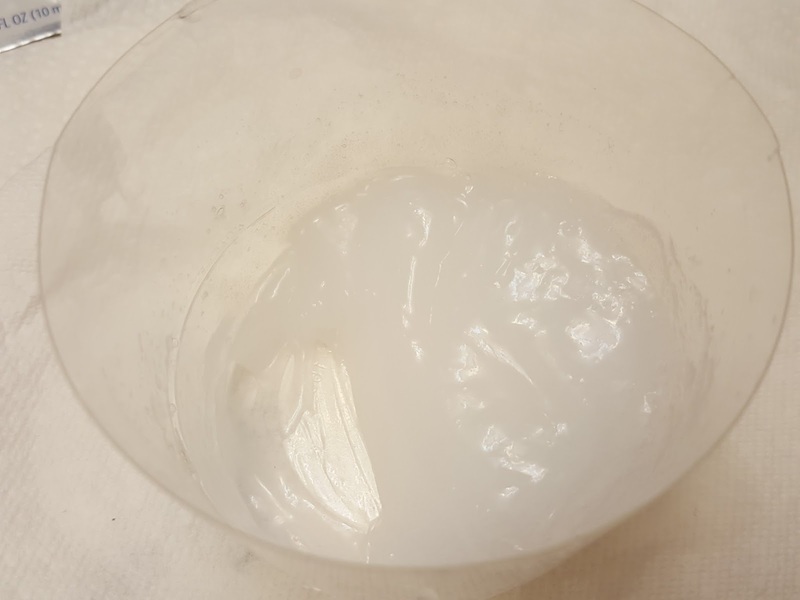 Isn't ascorbyl palmitate much more stable than other forms of vitamin c (like L ascorbic acid).